I know you like to read, since you’re here, but do you also like to travel? The local independent bookstore is on your sightseeing list. Yes, churches, bridges, fancy restaurants, but what about the culture of the place?? You’ve got to visit the local bookseller, who can give you insider tips, and browse the local shelves, where you can find untold treasure (and souvenirs!). 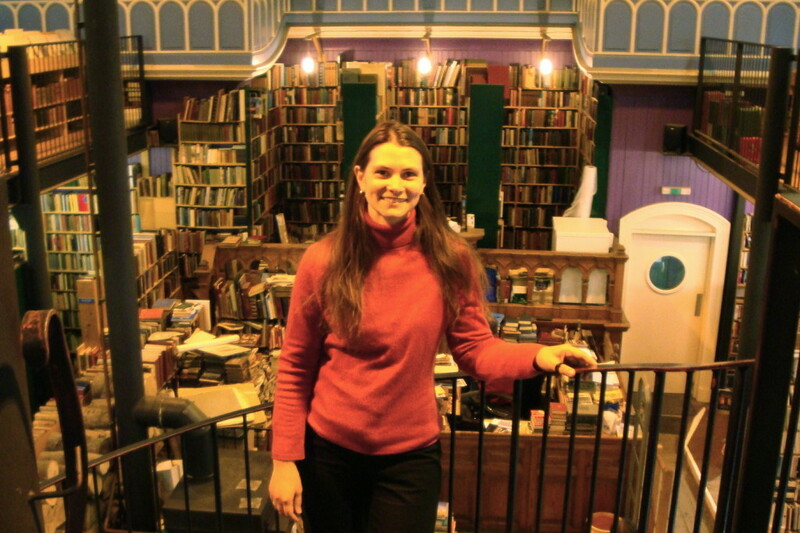 Shakespeare & Company in Paris was a recent revelation, but I also love Kepler’s in the Bay Area, Battery Park Book Exchange and Champagne Bar in Asheville, but my favorite has to be Leakey’s Bookshop in Inverness, with its bonus “inexplicable human bones beneath its floors” !! You read books about the location or set in the location you are going to visit. My big obsession is Scotland, so I’ve read many novels set in Scotland in different eras, but I’ve also been known to read about the south of France, Nova Scotia, London, and New York City in order to get a sense of the history there or the landmarks or people. In fact, there’s a whole website devoted to reading related to travel, run by very nice people: TripFiction! Pack a book and a spare. Record your experiences in a journal. One of the activities that sometimes takes the place of reading when I have to wait is journaling. It serves the secondary purpose of giving me, as an introvert, time to process all that I’m seeing, which gives me energy to tackle the next round all the more happily. When I get home after the trip, I like to read over snatches of what I wrote, laughing at the characters I observed and appreciating the beauty of the natural world that I witnessed. There’s nothing like the feeling of reading your own words and being sunk right back into the moment you wrote them, watching that sunrise or sipping that marvelous cup of tea. In doing your research for the trip, you probably found out about famous writers from the place you’re visiting, and naturally, you want to visit the museum about them, or the cafe where they worked, or the monument to them! 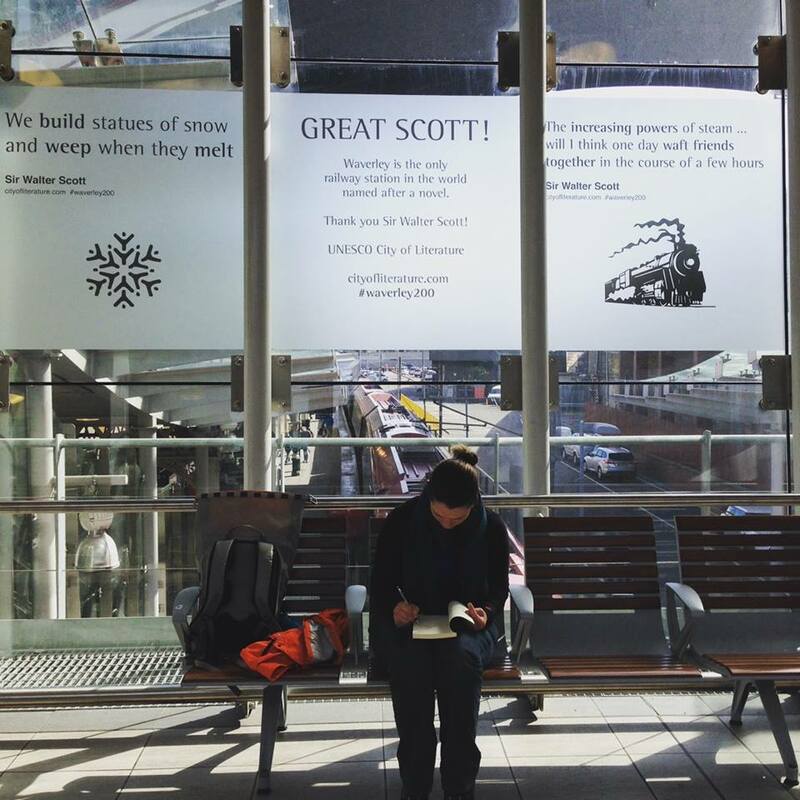 What other advice do you have for us voracious traveling readers? Let us know! I have definitely done these! I need to journal more though, thanks for the reminder of why to do this regularly.